Internet of Things is assumed to be the future; using Internet of Things people will be able to request for product or services with just one click. Internet of Things will work to make lives happier and a lot easier than it is today. Varied organizations like Amazon have already devised a product based on Internet of Things. Amazon calls it Internet of Things product with the name “Amazon Dash”; it is basically a set of buttons connected to Internet that can raise a request to Amazon for a particular product. One click and your product’s requirement get registered with Amazon, isn’t it awesome? Reliance on Internet has increased in recent past and it is going to see new heights in the coming times. People from all phases of life will rely on Internet for products and services because it is making life faster and easier. Internet also promises to cut cost and deliver within provided time limit. Internet of Things will be helping all these e-commerce stores become more and more efficient with each development. While Internet of Things is so popular and is being adopted at such huge levels but the issues related to security still remains a concern. Be it a developer, e-commerce giant or a customer, everyone is concerned about the security of data, credit card details and identity of customers. Like every other thing on the web, even products made using Internet of Things technology are also going to be vulnerable. Attacking IoT products are going to be tough but not impossible; with millions of people relying on this technology for an easier life, it is important to address security concerns. Creating a safe environment for products based on Internet of Things should be the main concern here. People from all facets of life will be using this product hence it is important to address the security concerns at the earliest. How Internet of Things can be made secure? The only way of securing any transaction on the web is through encryption. We have made websites, e-commerce stores, online transactions and UPI secure by making use of efficient secure socket layers. These secure socket layers have worked efficiently and have leveraged us with the requisite security by encrypting the data that can only be accessed by authorized people using public and private key. Transport Layer Security formerly known as Secure Socket Layer is the future of encryption and security. The new Transport Layer Security is more robust and designed to provide deeper security removing all concerns from scratch. How a Transport Layer Security works? Like all other online sites and e-commerce stores, Internet of Things related products and services are going to share valuable information that requires encryption. Encrypting data efficiently that can only be decrypted and accessed by authorized personnel is of very much importance. The Transport Layer Security aims to achieve the best of security by encrypting efficiently. Once the data is encrypted it can only be decrypted using the public and private key provided only to authorize personnel. Domain Validated: These certificates just work fine and ensure that the data is encrypted but they have no additional security features. Sites with these domain validated certificates are not good enough to protect transactions through encryption. You cannot rely on these domain validated certificates for safe guarding credit and debit card details. The identity can be stolen quite easily with these certificates. Extended Validation: These are a step ahead from domain validated certificates but in general these are of no use. In the contemporary world, where Internet is so robust and highly effective, these extended validation certificates have grown redundant. The new generation of certificates is way more secure hence there’s no point in acquiring an extended validation certificate that serves no purpose. Organization Validation: This perhaps is the future of encryption. Organization validation certificates ensure that the company is registered and has been varied by the Certificate Issuer. These certificates have allowed people to shop with the peace of mind. There’s a lot going on the web and it is only by acquiring Organization validation certificate that businesses can guarantee a safe shopping experience to their customers from around the world. Why Internet of Things has so many security concerns? In the search of future technology, the developers from around the world have stumbled upon the idea of making a connected world, where every device on a network and are sharing data with each other. Internet of Things work on a similar technology where millions of devices are connected and are sharing data. The presence of million devices on the network increases the chances of hacking by a million times. With more people having access to data, the data comes under threat and can be used for malicious activities. 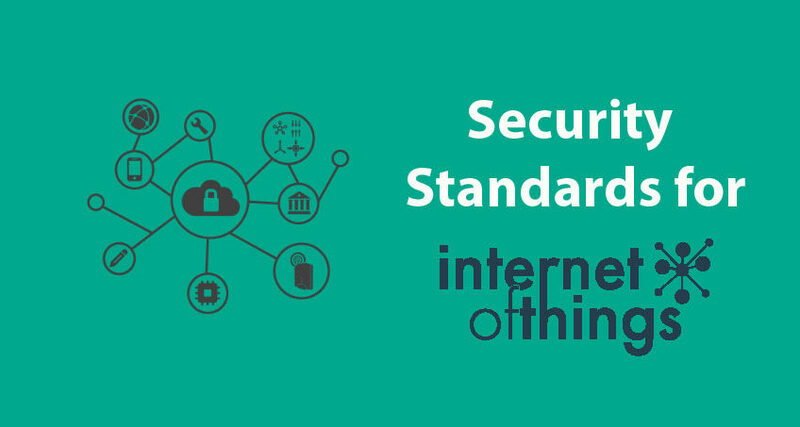 The idea of restricting access is not possible with Internet of Things but they can be contained with the efficient use of Secure Socket Layer or Transport Layer Security. Transport layer Security will make use of public and private key to authorize only one person to access the data, this way the data remains on a million device but can be accessed only by authorized people. It is important to adopt technology like Internet of Things because in the coming future, these networks will promote accountability and also remove bogus entities. By replacing the old and decrepitude security layers with Transport Layer Security, we can achieve the requisite efficiently and make the world a better place to live. Transport layer security making efficiently use of public and private key guarantees safety against most threats. No one will be able to access credit; debit card details and no cases of identity theft will surface. The world is becoming more and more insecure with every new device or person signing up for the Internet, it is only with the efficient use and immaculate implementation of Transport Socket Layer that we can build a safer world.